Recently I've had the privilege of collaborating for Shape Magazine's website with fitness writer and fellow FitFluential Ambassador Charlotte Hilton Andersen. 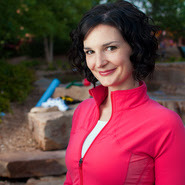 Charlotte is a very experienced fitness writer who has written for the Huffington Post, Shape Magazine, iVillage, and of course the blog and book "The Great Fitness Experiment". As soon as I saw she had written and published her own book, similar to what I had done with "The Frugal Diet", I knew I had to check it out and order it immediately! (on Amazon.com, cause that's how I roll! Amazon advocate since 2005 right here!) 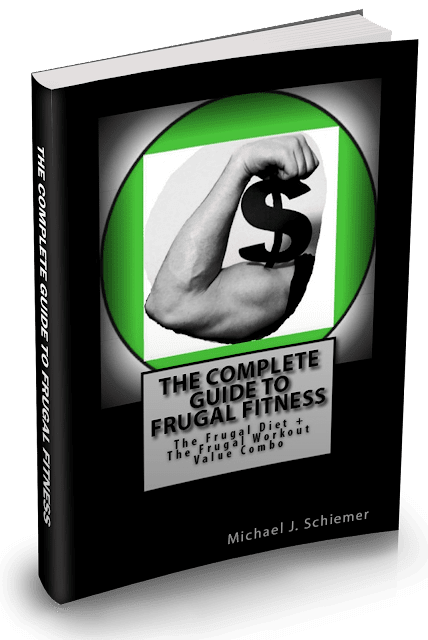 I'd heard very good things but I decided I needed to check it out for myself and put it to the Frugal Fitness test! 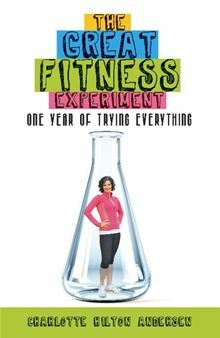 So the premise of the book is that Charlotte, fitness enthusiast and workout guru, tries out a dozen of the most popular different workout programs out there (except the Frugal Workout, which everyone knows is the best by far hehehe) and details what each program entails, the benefits, and the negatives. It was very educational even for me who has been in the fitness industry for awhile. I thought I knew all of the popular and mainstream workout programs out there and all of their components.... I was wrong. I learned more about CrossFit, the Tracey Anderson Method, Celebrity Workout, Jillian Michaels, Karate, The Action Hero Workout, Primal Blueprint, and more! All throughout the book there is also no shortage of personal essays, humorous observations, battles against adversity faced with family life and proper nutrition, and cheapskate references which I of course LOVED! Overall, besides being very educational on fitness programs and the fitness industry as a whole, it was very entertaining and included a lot of very personal and sincere tales of adversity in a very image-conscious and high pressure world. It is very difficult to get and stay fit, and keep up with the world's Photoshopped expectations for physical perfection, especially for women. Charlotte details her difficulty with eating and exercising properly, and the major issues of bulimia and anorexia in all of its forms. I really appreciated her self-deprecating tone and perspective and the "I'm not perfect" attitude because there are far too many authors and writers out there with egos the size of Texas and the opinion that they are always right. Charlotte whole-heartedly admits that she does not have all the answers and hasn't been perfect in her quest for mastering every fitness program (just like I don't have all the answers and haven't mastered all things fitness), but her journey can help a great number of individuals to live happier and healthier lives! A great book overall, I would suggest you check it out for yourself!